Going for a drive when the leaves are changing is a distinct perk of autumn. 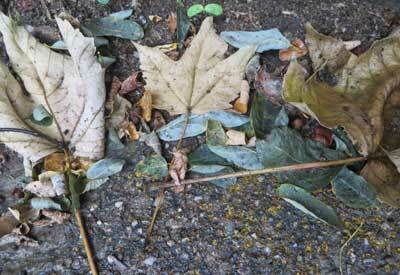 But add a little rain to the mix, and those same leaves go from picture perfect to potential hazard. 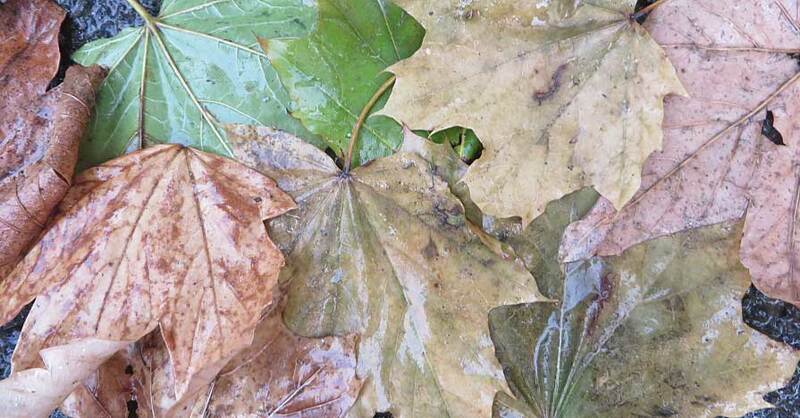 Some even say wet leaves are actually slipperier than ice itself, but is that true? If so, what are some fall driving safety tips to keep in mind while traveling through the painted hillsides? Let’s break down the science behind why wet leaves might be slicker than ice, starting with the question, what makes ice so slippery, anyway? Slippage, for our purposes, is the loss of friction between the wheel and the driving surface. 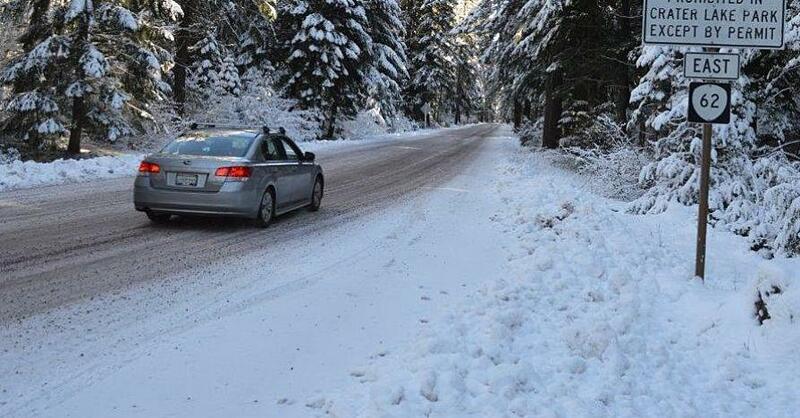 Less friction means more difficult traction, which is the wheel’s ability to “grab” the road. This results in all sorts of slippery scenarios, such as spinning wheels and loss of control over steering and braking. If you’ve ever hydroplaned, you know the feeling, and it’s scary. Ice is slick because unlike other solids, there’s always a thin layer of water on the surface, even at temperatures far below freezing. 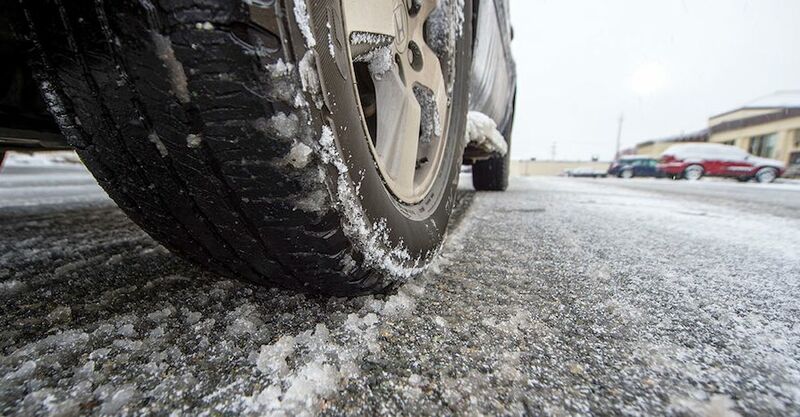 Scientists are still debating why this is, but in any case, it’s the water that acts as a lubricant between the wheel and icy road, causing loss of traction. When your tire is not making solid contact with the driving surface, you’re basically floating on a very thin film of fluid. Now let’s consider wet leaves. First of all, most plants take in water through their roots, so leaves are specifically designed to not allow water in. Instead, water sits on top of the leaf’s waxy coating creating a film similar to that found on ice. Additionally, solid ice and leaves are both relatively smooth, posing a less friction-friendly surface area, so it’s kind of a draw there as well. The difference comes when you consider that leaves aren’t attached to the pavement in the way that ice is. Rather, they have a slippery surface area on both sides, meaning a leaf has the opportunity to slip against the road and against the tire, creating an additional opportunity to slide. Also, leaves are smaller than the tire rolling over them, causing the tire’s load and torque force to be unevenly applied between leaf and road. Additionally, for each layer of leaves you add to the equation, you exponentially increase the possibility of traction loss between multiple slippery, loose surfaces. 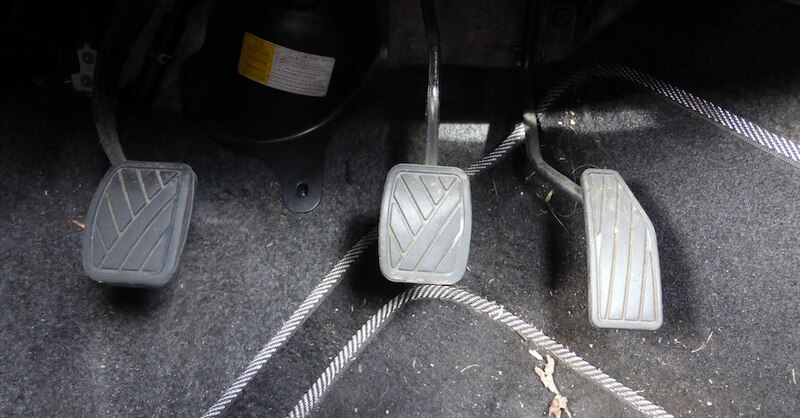 Ultimately, water is the cause of traction loss in either scenario, so while it might not be fair to say wet leaves are “slipperier” than ice, your chances of losing traction on them may indeed be higher. 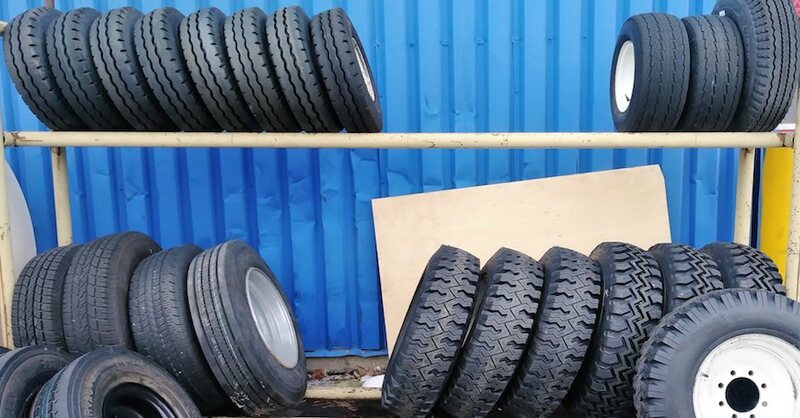 Your first defense is a good set of tires. Treads are designed to channel water out from under the tires, increasing traction. Talk with your mechanic about which tires are best for you based on seasonal driving conditions and follow the suggested maintenance routine. Also, know how to react if you find yourself in a skid or unable to brake. Remember, if you lose traction, lay off the gas, resist the urge to brake and point the wheels in the direction of the skid. Really one of the best fall driving safety tips is just to be vigilant: if you see wet leaves in the road, slow down before you get there. Check out all the steering and suspension parts available on NAPA Online or trust one of our 17,000 NAPA AutoCare locations for routine maintenance and repairs. For more information on getting your vehicle all-weather ready, chat with a knowledgeable expert at your local NAPA AUTO PARTS store.